Fasten seatbelt and prepare for landing. 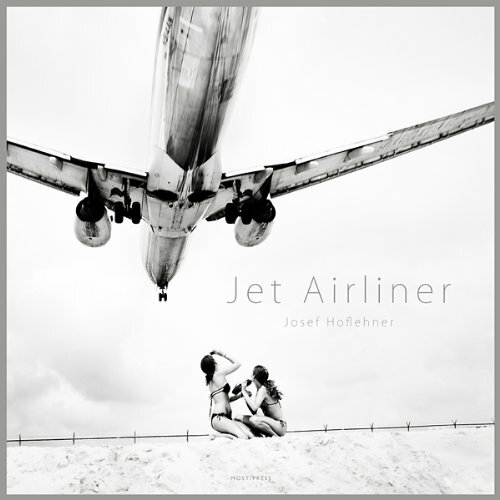 This new book features Josef Hoflehner's outstanding photographic series 'Jet Airliner'. These photographs are real, live-action, wide-angle captures of arriving and departing airplanes at the Princess Juliana International Airport in St. Maarten, Dutch West Indies. Perfectly printed in dutone - the book is bound in shiny white silk. The Deluxe Limited Edition comes with a signed print of the cover-image, and is housed in a custom-made clamshell box covered by shiny white silk. Limited to 100 signed & numbered copies only.